Is to make midnight mushrooms..."
This mushroom dish makes a pretty good midnight snack. Or meal. I sometimes don't get around to making food until then. It might sound a little weird, but I think it is super good. Try it! Fry up the mushrooms (you should never eat large amounts of button mushrooms raw because they contain a toxin that is neutralized upon cooking). 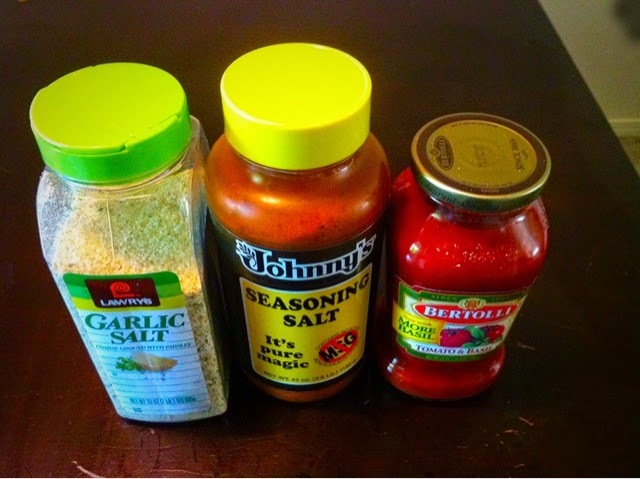 Add tuna, if you are using. You could serve this over pasta as a casserole sort of thing or just eat it as is. At times I've found myself disconnected from others, keeping everything to myself. It's totally painful, physically and emotionally but sometimes it's just too hard to know what to say. I wrote this song on one of the days that I was feeling like that. Thankfully I've got some really good friends and an awesome family to help me through. Just listening to them and their experiences talking to my friends and telling them about absolutely anything and everything means the world to me. Mahalo nui loa to all of you lovelies who are listening to my songs. It is so nice to be able to share and I am looking forward to growing and evolving with all of you. This song was my theme song the summer I went to Burning Man. 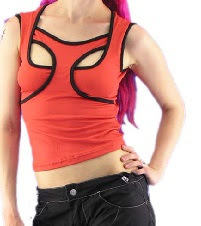 These clothes would look pretty cool at Burning Man, too. I like how the negative spaces show skin in a unexpected way. I don't know where these last three images are from, but they are super nifty. 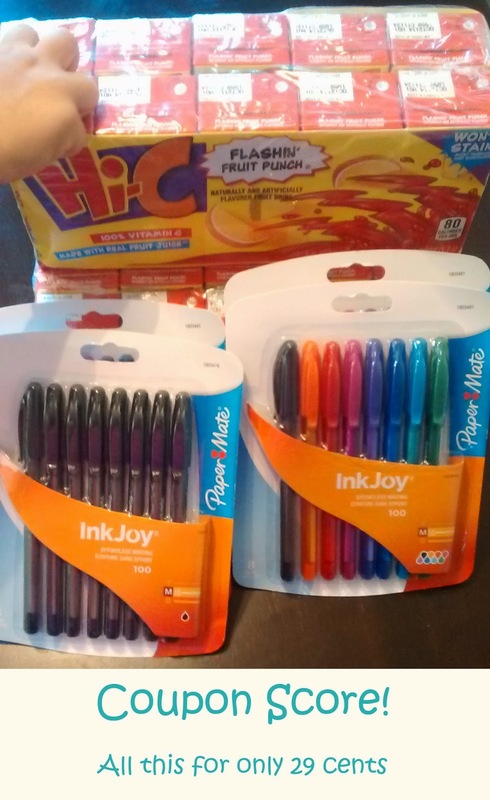 Becoming a boss coupon-er - Free teal and purple pens at Rite Aid! Have you ever watched those coupon shows where the people walk out with a shopping cart full of stuff for like $5? It's crazy, but it's real. After a long while of speculation, I am now a believer in the power of coupons and I want to tell everyone about them lol. If you notice the little hand in the picture you can tell that my baby fully approves lol. The whole dollar came off of my total so I earned a penny from each purchase, which took $0.04 off my total. I also got back $1 in Up Rewards which I can use on my next Rite Aid purchase so technically I made $0.71. So stoked. I absolutely love the colors in the colored Inkjoy set. It includes teal, purple, pink, green, blue, orange, red and black pens. They make doodling, brainstorming and writing notes even more fun. Makes me want to pick up my Gelly Roll Pen habit again lol. How do you get so many coupons? This can be the tricky part. I recently signed up for a Sunday paper subscription deal in my area where you can get a year's worth of Sunday papers for only $20. I bought 5 subscriptions which comes out to $0.38 for each paper, but I get back way more than that. Some people are more ambitious about scouting out free coupon sources such as hotels and churches or wherever else but this works well for me. I also get extra RedPlum inserts from the Midweek magazine that comes to my mailbox. If you're not ready to fully invest in coupon-ing just yet I suggest going to coupons.com first and printing out your coupons from there. You won't be able to get all of the deals this way but it is more than enough to see if you can commit to coupons as you can get quite a few deals there. Each device or computer is limited to 2 print outs but you can even download the coupons.com App to print from a tablet or even smartphone! Most stores limit to 4 like coupons per shopping trip so if you have more coupons than that it helps to have someone else to shop with. Want to know where to go to find these deals? Krazy Coupon Lady is a great source to discover coupon deals and to learn more about the coupon rules for each store. I also follow Frugal Living NW since I live in the Pacific Northwest, this is where I signed up for my paper deal through the free coupon-ing class they offer. I also like Passion for Savings because they seem to have unique coupon combos which have helped me discover deals that I didn't notice on other sites, and the blog is cute :P.
Finding the right deal combos, preparing the coupons and going to the store within the sale's time frame can take awhile at first but I've found myself getting quicker at the whole process lately. I have a coupon binder system now which helps a lot. At first it felt kind of weird getting free items at the store, almost like stealing :P. Now I look at it as though I am getting paid for the time I spend researching coupon deals. Most clerks are very nice and knowledgeable when it comes to redeeming coupons, at least in my area. 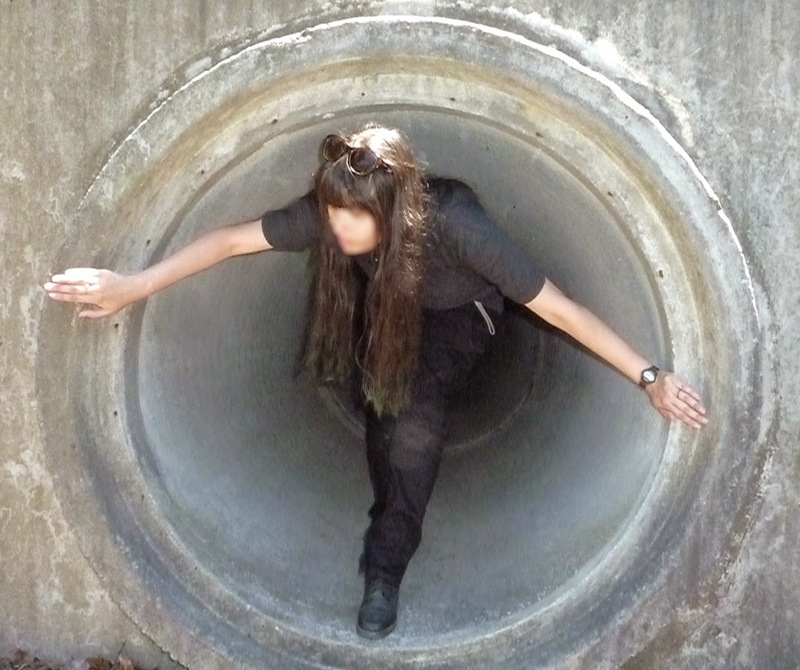 Down below the city streets are networks of tunnels making sure flood waters recede. I do not really have a problem with closed spaces. It's more what might be lurking behind the bends in the tunnels that bothers me. And yet I love to explore such depths anyway. 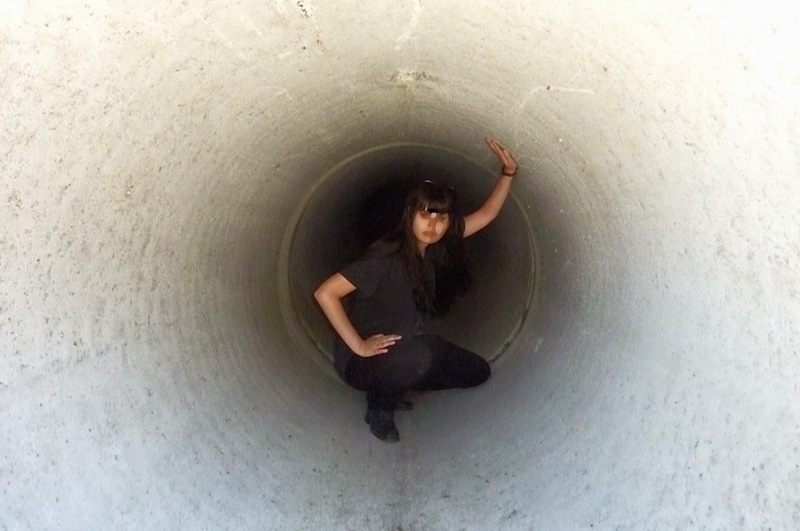 One time I was exploring a tunnel and the water started rising up over my boots. I was sure a wall of water was going to come at me from around a bend and thrash me against the steel walls of the man-made cavern. When I made it to the entrance it was only drizzling. I never set foot in a storm-drain anymore if rain is in the forecast. You never would think about it, but sunglasses are a good idea if you are emerging in unfamiliar locations. You never know what's lurking in the sunlight. I am wearing an American Apparel unisex tri-blend track shirt in black, which is more like a really dark grey. 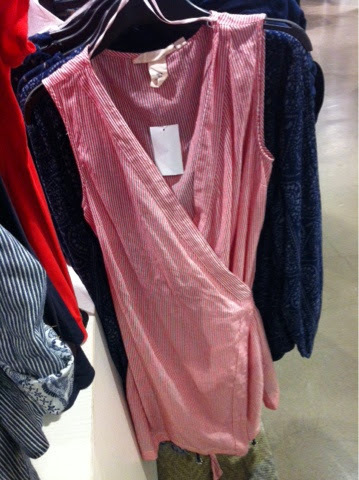 It is very soft and the cut is perfect for me: I love long t-shirts. It is one of my favorite shirts, even though it suffers a bit of tiny pilling after a year of use, and it doesn't seem that much cooler than the cotton version. 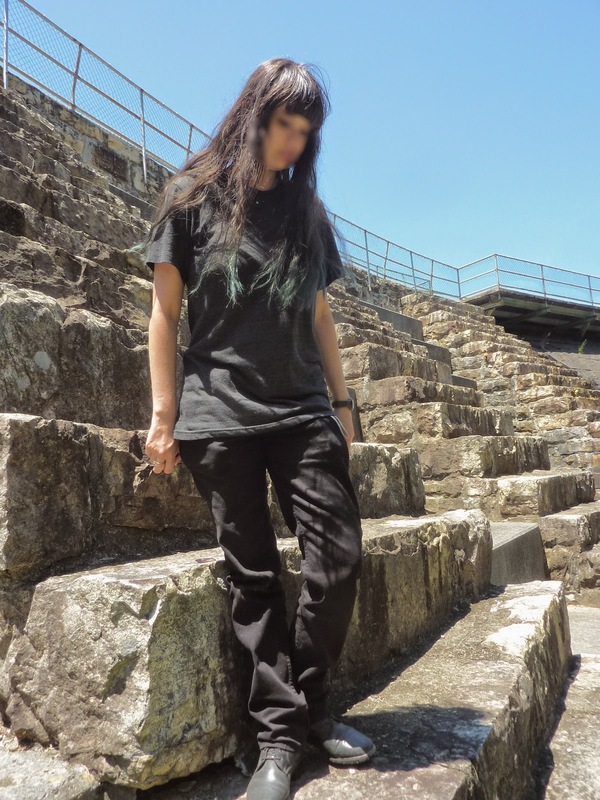 I also have on black Levi 511 jeans that are slightly too big... ah, the evil of clothes that are 75% off. They offer nice ease of movement without being too bulky. Both these garments make me happy that unisex clothes exist. Even if the Levis aren't billed as gender neutral, I think they qualify. Red and white pinstripes all around! Pinstripes are boss but it's somewhat rare to find them in colors other than black or blue. I was so happy to find 3 different red pinstripe pieces on my last trip. Super stoked although I ended up buying polka dots instead lol. If you love pinstripes but want to avoid looking like a referee this could help. This one's stripes are so thin it almost looks pink but it is really red. Faded fabric tote "handmade from recycled sail material." Unfortunately I feel like bright red is not my color or I would scoop the tank blouse up. I'm pale but I have a warm skin tone so I think reds are that too cool look weird on me but who knows? I'm hoping to see neon or color shift pinstripes in the future, I think that would be extra awesome. 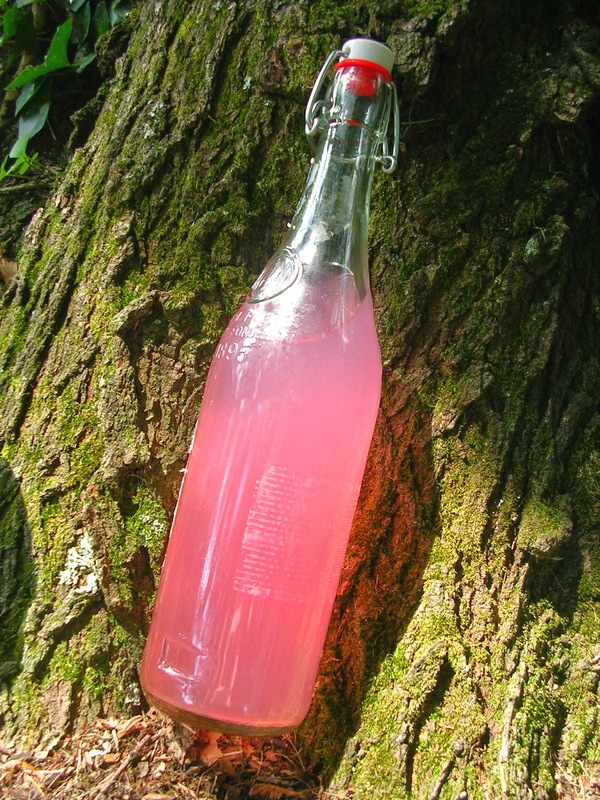 Who can say no to pink lemonade on a hot day? 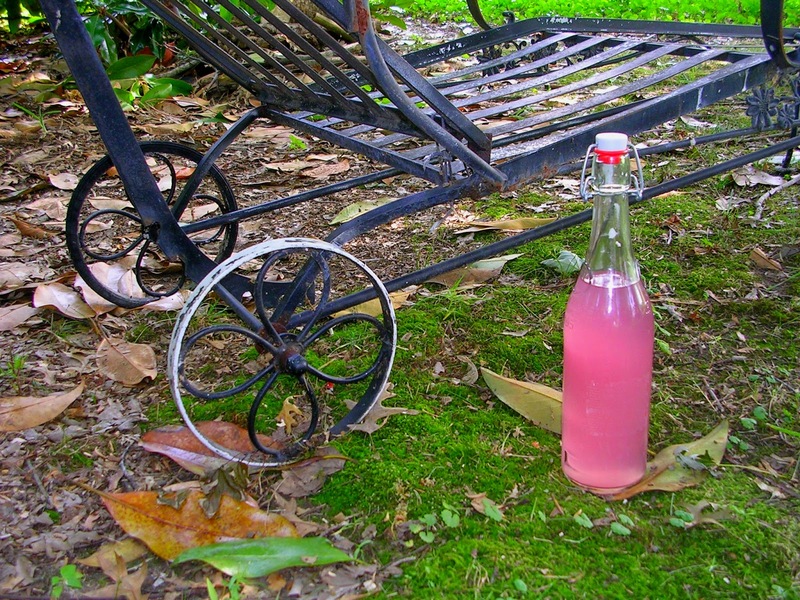 And the pink comes from the lavender, so there are no worries about artificial dyes. When you add the lemon to the sweet, lavender tea the water turns from purple to pink because of the acid! It's so cool! Boil the water and add the sugar to make make a simple syrup, stirring until the sugar is dissolved. 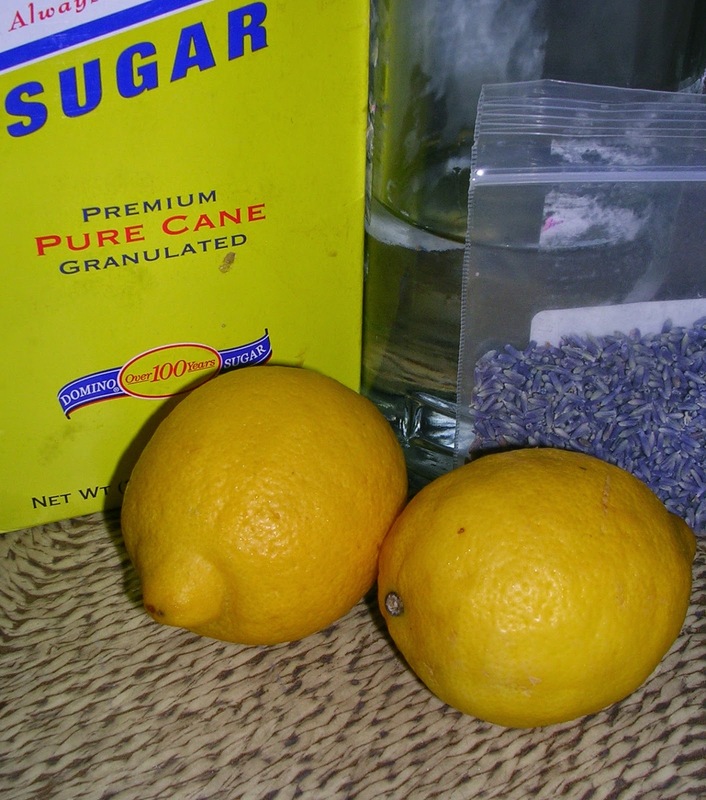 Take your syrup off the stove and add lavender. Let steep until you can taste the lavender - about 15 minutes. Squeeze the lemons. Taste them. If they aren't very sour, use more. Don't worry about the seeds. Add the lemon juice. Watch for the awesome color change! Strain out the lavender and the seeds. Last week I finally learned about Sarah Wilson's blog http://iquitsugar.com/ and about her I Quit Sugar Cookbook and I Quit Sugar for Life book. I don't follow everything she says, mostly because I eat lots of fresh fruits since I eat mostly vegetarian and I believe in eating lots of them since they are healing whole foods. I also eat small amounts of raw local honey, maple syrup, agave and maltose here and there but not everyday. Still yet, giving up sugar and drinking more water and tea has been a godsend. These are all no-no's if you quit sugar! Thank goodness Tabasco is sugar free, otherwise I might be a bit grumpy lol. There are often sugar free alternatives as well but it does take some searching and planning. I have been been working on cutting down my personal sugar in take for a few months now by switching to xylitol and stevia, but I didn't realize how easily sugar creeps into my diet in other ways. Sugar is hiding in everything! Processed, pre-made, restaurant and fast foods are full of it - even things that aren't really sweet. It's in just about every condiment. Between that and actual sugary food the sugar in my diet was really adding up and it was completely unnecessary. Another great thing about quitting sugar is that it forces you to prepare your own healthier food. I have been making the very best kale, cucumber, tomato and goat cheese salad. It is so good that I feel like I am treating myself but I know it's good for me and full of vitamins, water, and protein. I am not totally strict as I occasionally have a treat day. I had a Voodoo doughnut a few days ago and it was seriously good. I think this whole experiment has made me appreciate my sweets more. It also made me realize how much processed food I don't need which actually saves money in the long run. The only thing I really miss at the moment is chocolate chips. I need to go buy some of the alternatively sweetened ones from the health food store stat lol. I love thunderstorms. They make me feel like my battery is recharging. 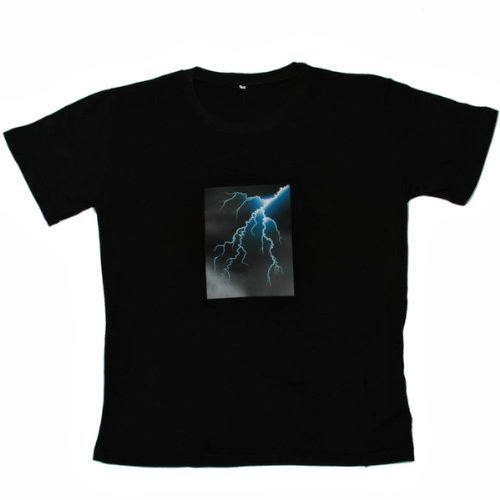 I feel all warm and tingly when I see a jagged flash of light and hear the crash of thunder seconds behind. So, of course I love lighting in fashion. 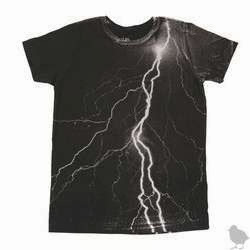 There are surprisingly few instances of lightning print clothing, so I will show you my favorites. 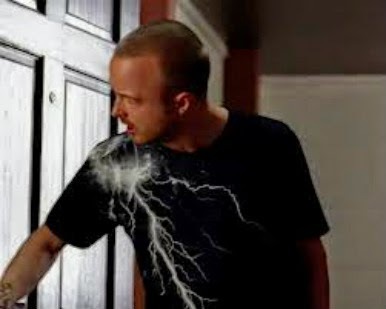 I have wanted a lightning bolt t-shirt ever since I saw Jesse's in Breaking Bad. But, unfortunately, this shirt is no longer for sale anywhere I can find. And nothing I have found matches its epic cool factor. This shirt seems pretty awesome. I wish the LED was a little larger. And would I remember to take it off before I washed it? Would the batteries be a pain? Anyone ever worn clothing with batteries in it before? I saw these tights in a booth in a street-faire in the Netherlands. I almost got them, but the purple is just so bright. I really wish I could find a pair in black. 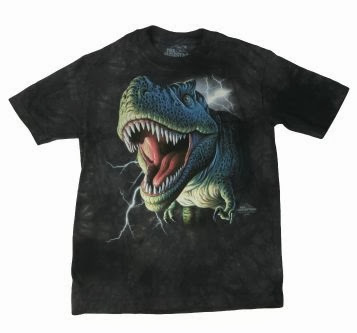 A dino and lightning? Could it be any more epic? I always get jealous of little boy clothes. 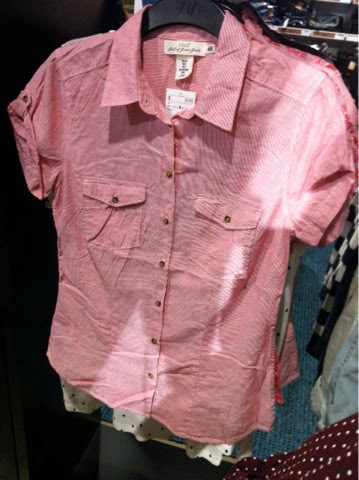 They should make all little boy clothes in grown-up women's sizes. Seriously. 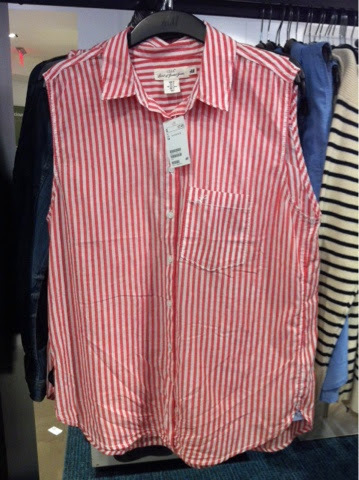 I am always jealous whenever I go into a clothing store that carries stuff for little boys. Not just the t-shirts, they also get the coolest light-up shoes and many-pocket pants. 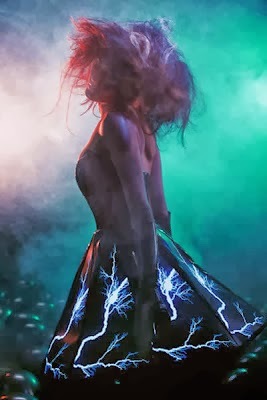 I just found these as inspiration for your lightning dress projects. I have no idea if they are even made anymore. I am very happy there have been plenty of thunderstorms this summer. I am hoping for lots of thunder-snow this winter!